Sweet Leaf’s owners strike a deal with Colorado marijuana regulators, New Jersey and Illinois take steps to bolster their medical cannabis markets, and Alaska overhauls its MJ business taxes. The owners of the once high-flying Colorado marijuana retail chain Sweet Leaf are paying dearly for running afoul of state regulators. Pay roughly $2 million in fines and back taxes. Stay out of the state’s MJ market for 15 years. Destroy inventory and drop their appeal. Sell licenses for cannabis retail stores in three Denver suburbs. Quite a list of sanctions. Quite a statement to the rest of the industry. “The fact they are barred from the industry and have to pay hefty back taxes and fines re-emphasizes the lesson for the industry that it has to comply with state law or risk some serious consequences,” said Robert Mikos, a Vanderbilt Law School professor. Mikos said it’s harder to gauge the case’s broader ramifications, but it “looks like the state was trying to make sure it got the taxes that were due and other fines,” and it had to do so by letting the owners sell MJ licenses. Sweet Leaf once had 29 licenses in Colorado. State regulators took a different position with Sweet Leaf’s marijuana inventory, ordering that it be destroyed. The company’s legal woes might not be over. “The federal government usually only cares about the big fish,” Mikos said, “and there’s certainly enough allegations in the record” to show the owners and operators of Sweet Leaf could be vulnerable to federal prosecution. U.S. Attorney Bob Troyer of Colorado recently said his office plans to take action soon against a Colorado chain of marijuana dispensaries, but he did not identify the company or provide additional details about its operations. Illinois and New Jersey may not be the nation’s largest medical marijuana markets. But both have a lot of potential to grow. 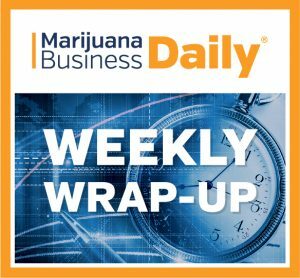 So, it comes as welcome news for MJ businesses in both states that the two governments are taking steps to revamp rules so their respective programs can thrive through the influx of more patients. In New Jersey, proposed legislation would make it easier for state regulators to approve new conditions that can be treated with MMJ. That comes after the state in March added five treatable conditions. In Illinois, meanwhile, the medical cannabis market is posting notable growth after the addition of MMJ as an opioid alternative – a development that, if sustained, could significantly boost MMJ sales. Encouraged by higher tax revenues from MMJ, Illinois regulators are likely to streamline the patient application process – namely by eliminating criminal background checks and fingerprinting requirements, Mayes predicted. “That means a severely ill patient in a hospital bed doesn’t have to rely on a caregiver to help them; they could potentially get through the (MMJ application) process without leaving their home,” Mayes noted. The other big win for medical cannabis businesses in Illinois is the addition of MMJ as an opioid alternative. In New Jersey, Mayes pointed to last March’s addition of anxiety to the treatable conditions list. He called anxiety “chronic pain-like” because many people suffer from it and will appeal to their doctors for cannabis. “When you get these conditions that are subjective to the patient, it greatly increases the patient population,” Mayes said. Alaska’s revamped tax structure will spell relief for cannabis cultivators, who’ve complained the state’s current excise tax – equivalent to $800 per pound – is decimating profit margins. Tax $50 per wholesale ounce on so-called mature flower. Allow cultivators to pay a lower tax – $25 per wholesale ounce – on immature or abnormal flower. Continue taxing trim at $15 per wholesale ounce. Define qualities that qualify flower as mature, immature or abnormal. The new taxes take effect Jan. 1. “We don’t want to penalize growers who have problems with their harvests and have substandard bud that, at best, ends up in a pre-roll and, more than likely, ends up with a concentrate manufacturer,” said Ken Alper, director of the state’s tax division. That means cultivators will have to grade their marijuana so it’s taxed appropriately. If there is evidence that cultivators are rating mature bud as immature to dodge the higher tax rate, regulators will investigate, and that could result in disciplinary action, said Erika McConnell, the director of the state’s Alcohol & Marijuana Control Office. The state’s seed-to-sale tracking software, Franwell’s Metrc, could discourage cultivators from misreporting, Alper noted. Metrc requires growers to report how their product is sold – for example, as smokable flower or as material for concentrates. A cultivator who reports a high amount of immature or abnormal flower sold wholesale as smokable product could attract scrutiny from state auditors because substandard product generally doesn’t make its way to the smokable market, according to Alper. “It’s hard to justify less than the full tax value for product sold on the smokable market,” he added. Sweet Leaf’s problems stem from either a laissez faire attitude to the laws governing the cannabis industry in Colorado. The lesson to be learned here is that government regulators and law enforcement will come down hard on non-compliance. It is imperative that all employees within the industry understand the laws that affect their jobs and that significant controls are in place to ensure all employees comply with the law. $50 oz. Is $800 an lb. So it’s the same.